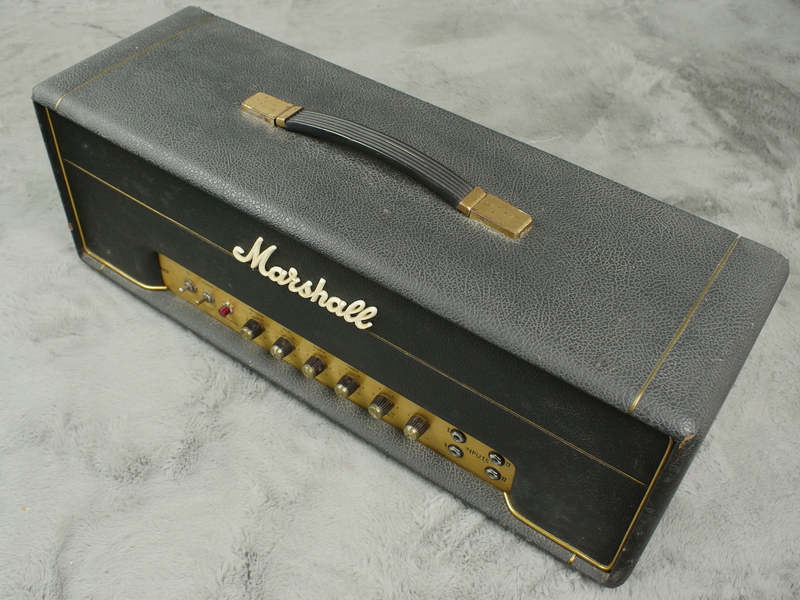 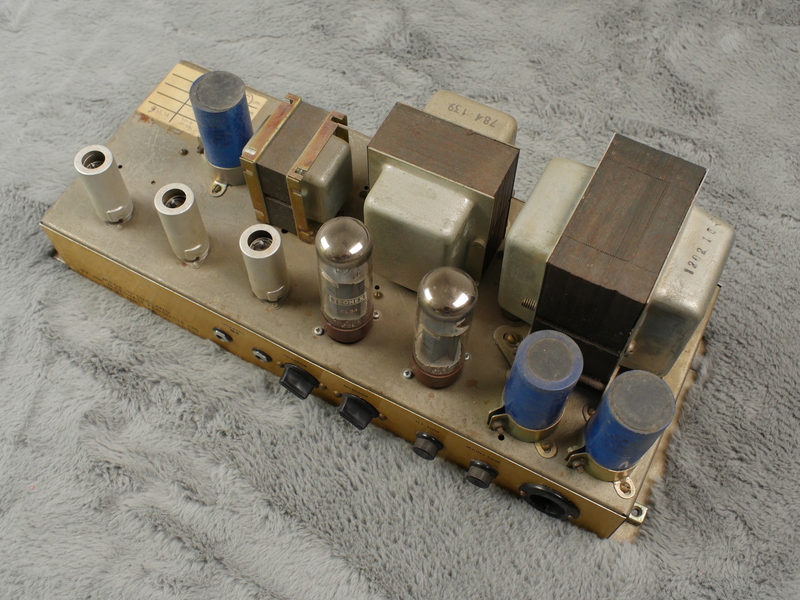 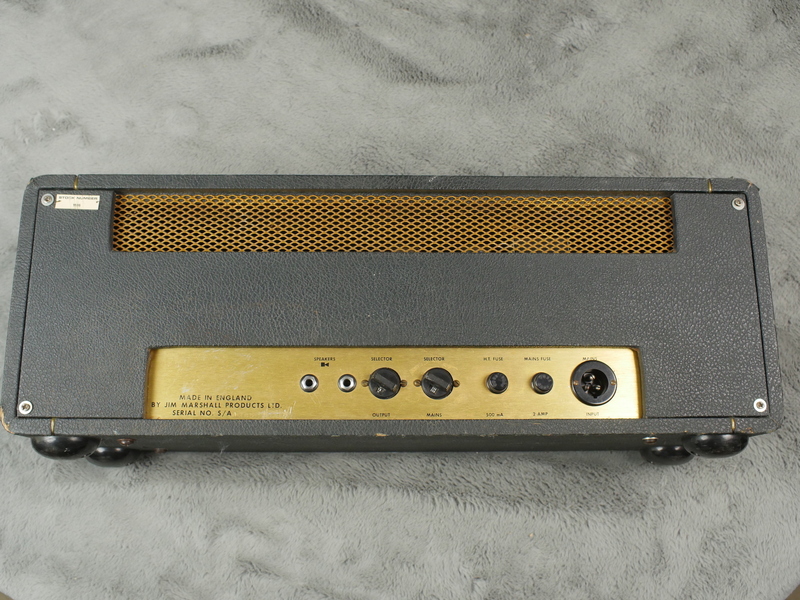 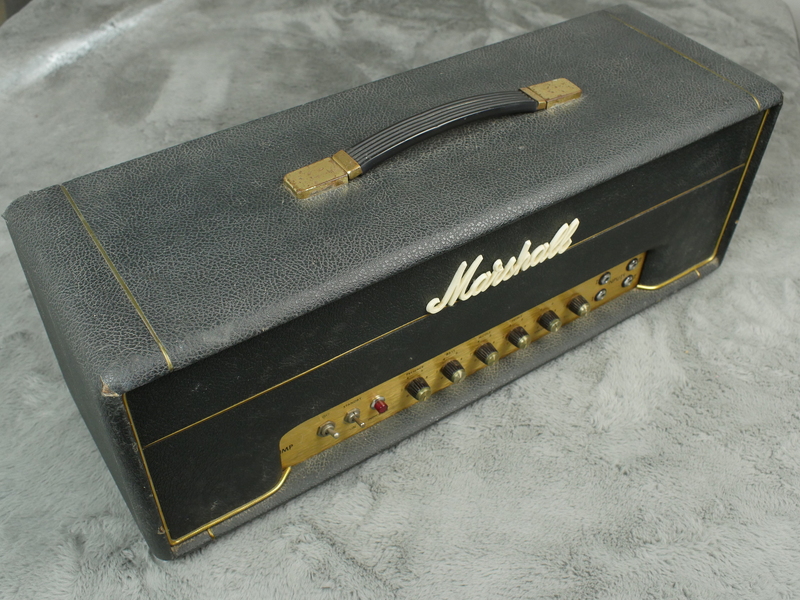 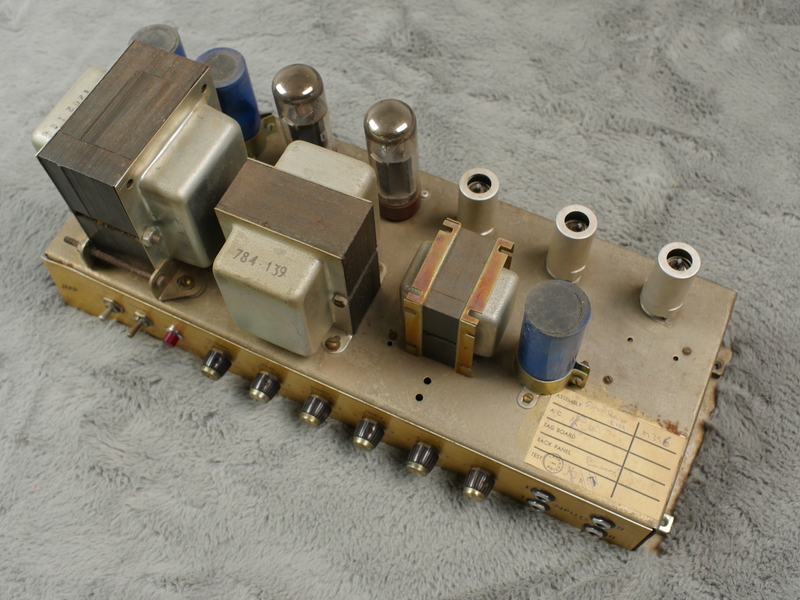 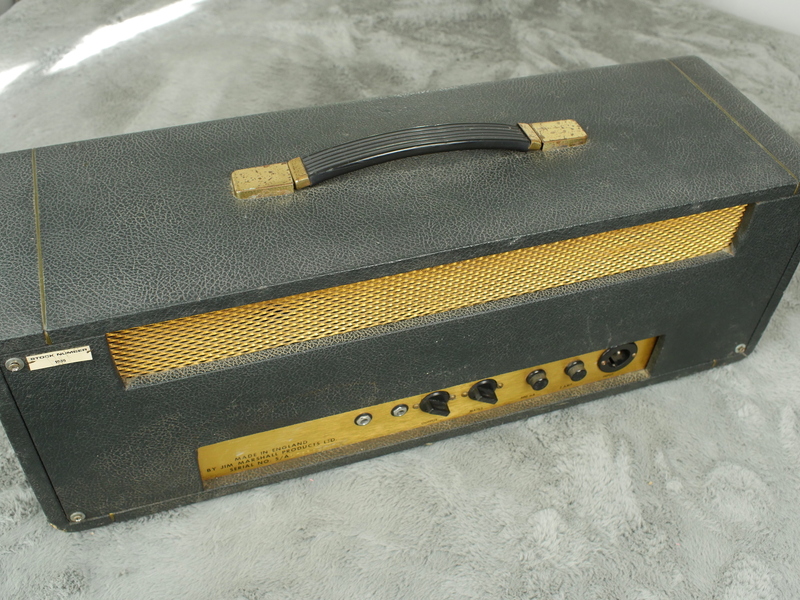 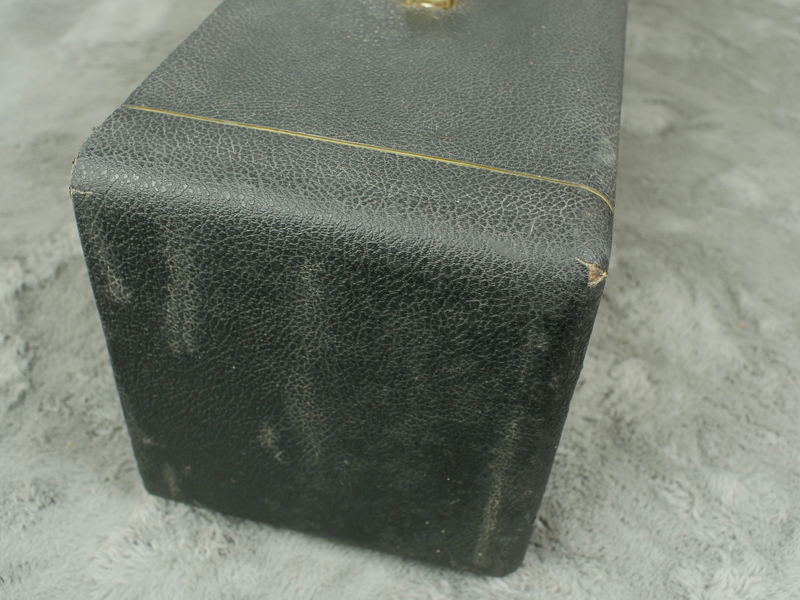 A very nice condition and surprisingly original 1971 ‘small box’ JMP50 Marshall head. 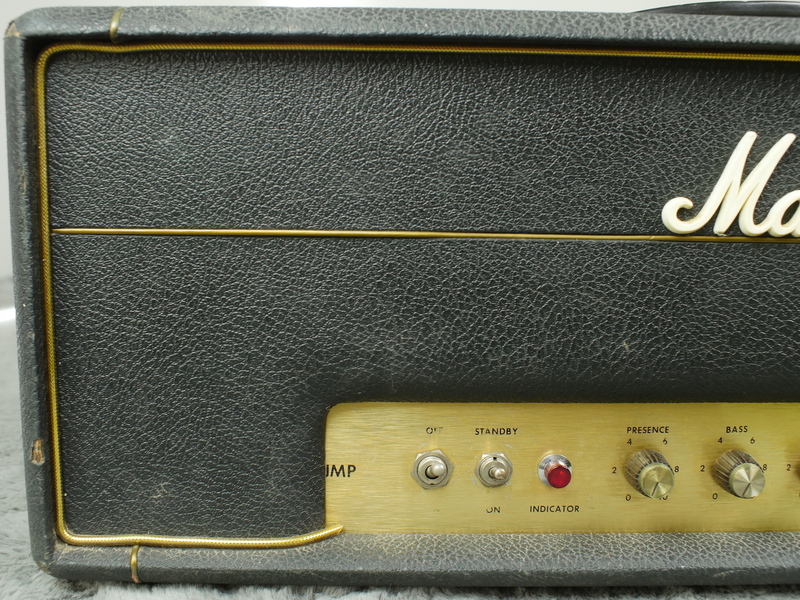 This has been owned for a very long time by a fairly local, session guitar player who used it on a fair few decent recordings. 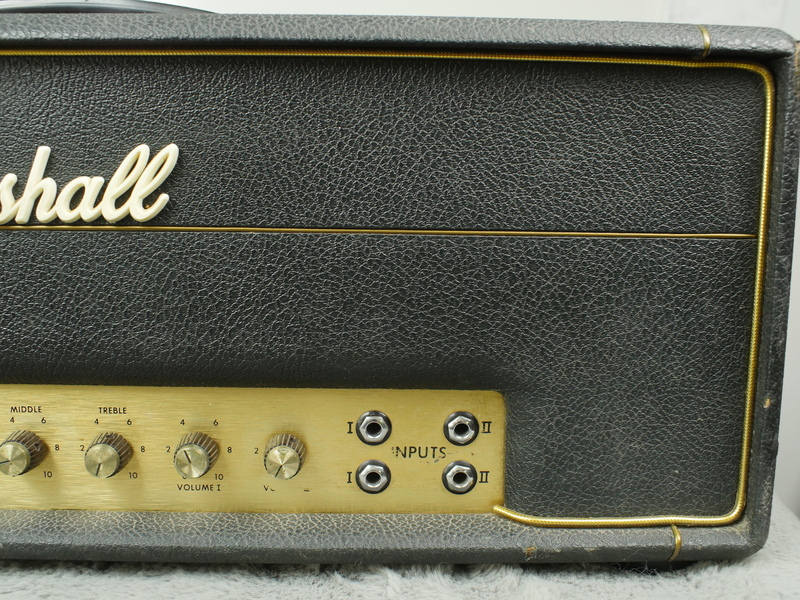 He recently retired and we bought this from him along with the 1964 Bigsby ES-335 we currently have listed. 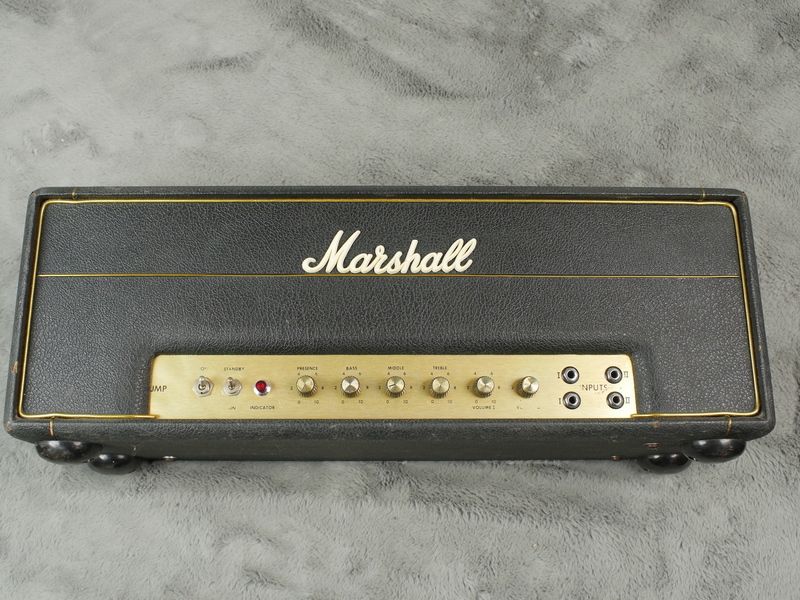 We do not confess to being Marshall experts and we do not sell many amps at all but we liked the way this one looked and it does happen to sound rather nice to boot! 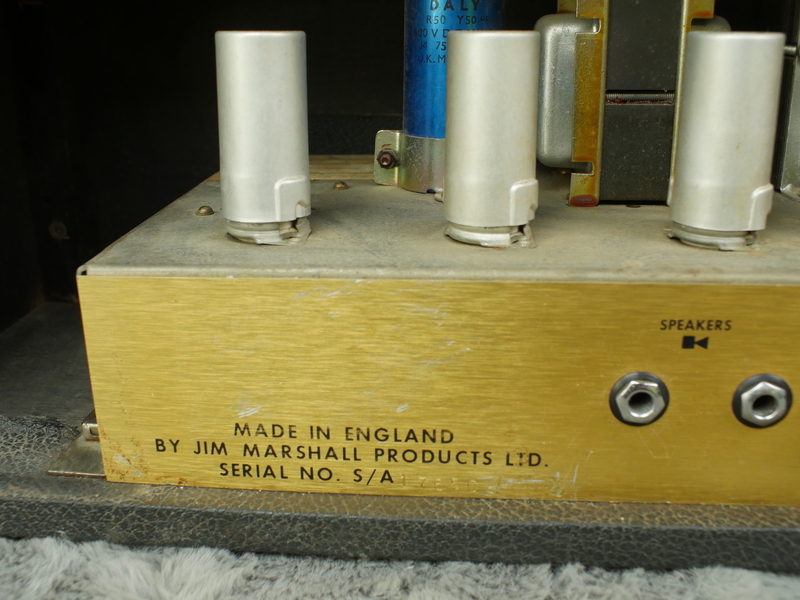 Have a look at the pictures, I think you will find all the important bits are there and nothing that affects the tone has been changed. 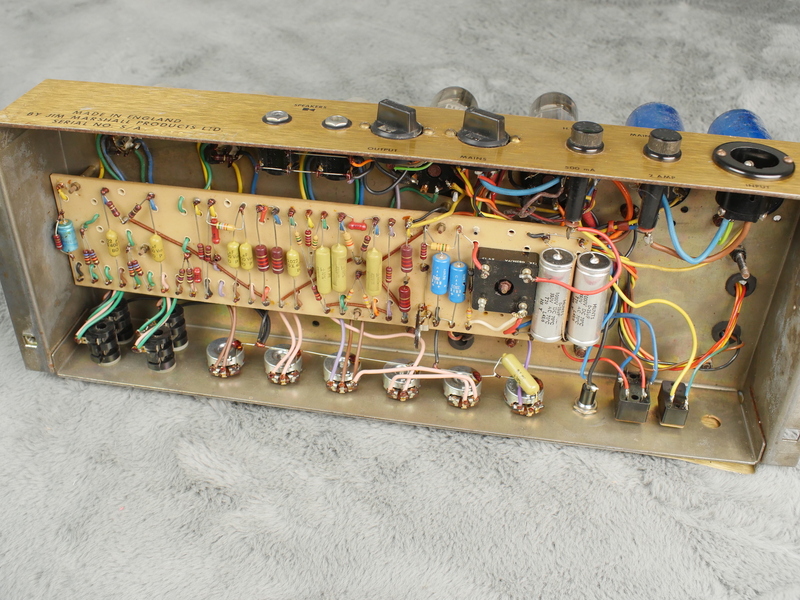 We have provided internal pics as well and as you can see there is a lot of red dye still present on the PCB. 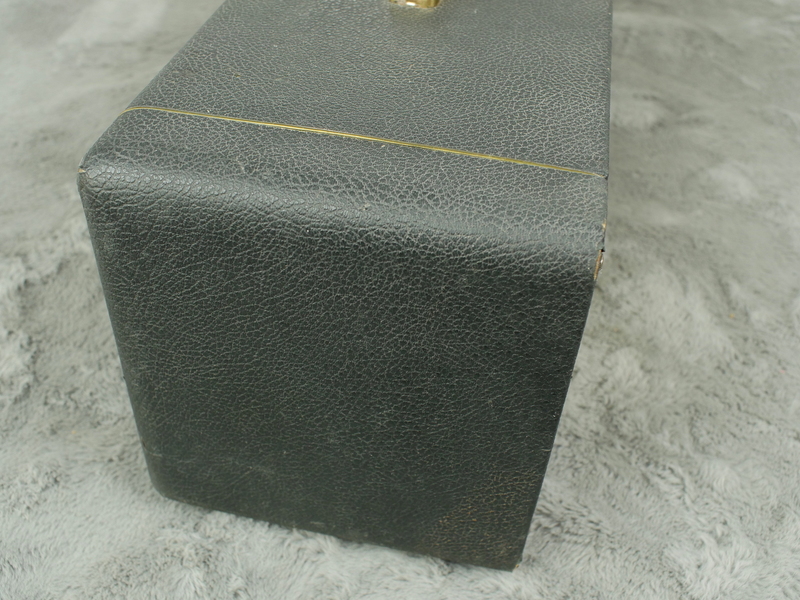 Classic sound with classic crunch in a classic small box format. 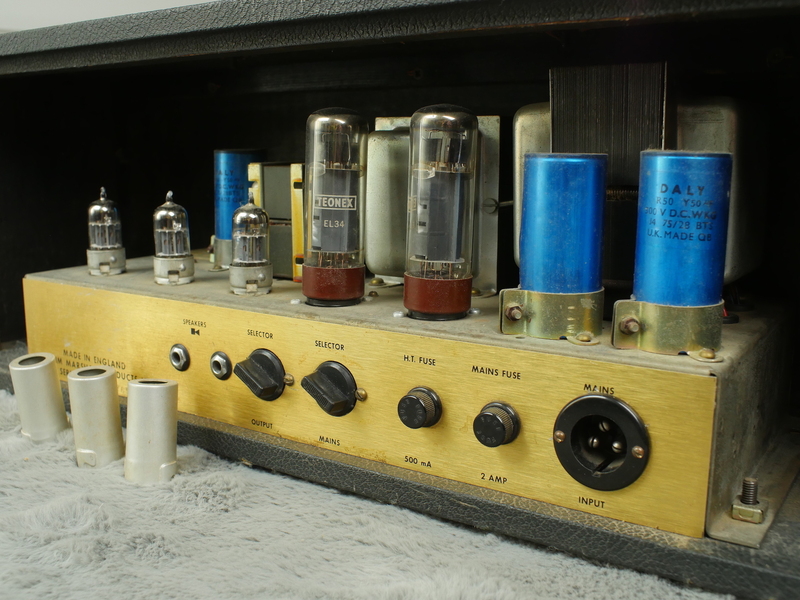 Whats not to like…?